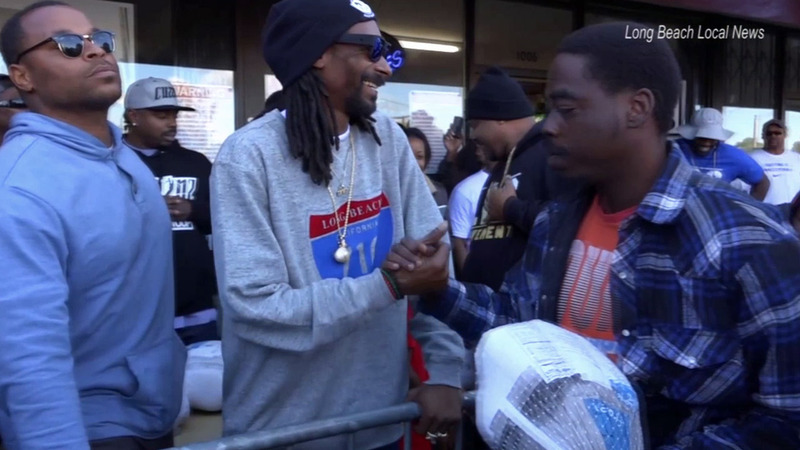 LONG BEACH, Calif. -- Rapper Snoop Dogg continued to support families in need in Los Angeles County by handing out free turkeys in Long Beach. He showed up at VIP in the city and brought about 1,000 turkeys to hand out to his neighbors. Snoop also spent plenty of time taking photos and meeting fans. "We just in front of the VIP representing the LBC, passing out turkeys, showing love, giving love. This is the community that I come from. So close to Thanksgiving, we just want to make sure that everybody has something to eat," he said. Snoop added that when you have it, it's important to give back, which is what Thanksgiving is all about.